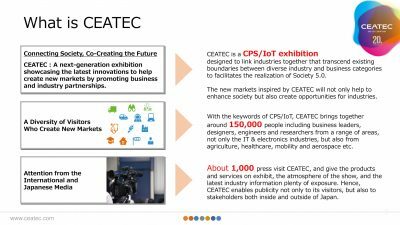 In 2016, CEATEC was transformed, becoming a brand new comprehensive exhibition that transcends the framework of the consumer electronics show. It is now a global showcase for Japan’s growth strategies and it’s vision of the ultra-smart community of the future. 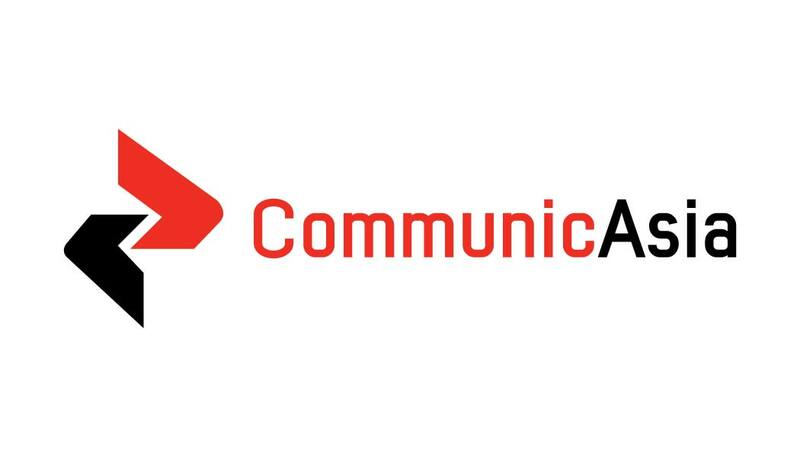 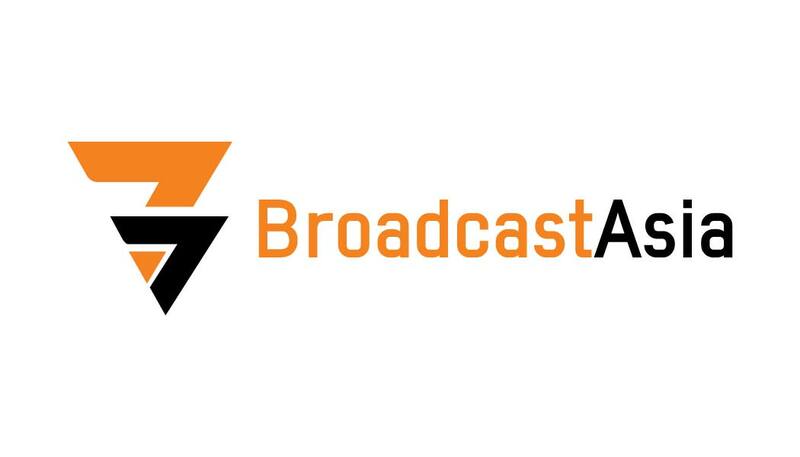 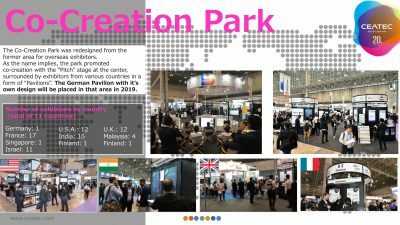 2019 shows the further CEATEC development, bringing together the frontrunners in a wide range of industries (2018: 725 exhibitors) and over 156.000 attendees. 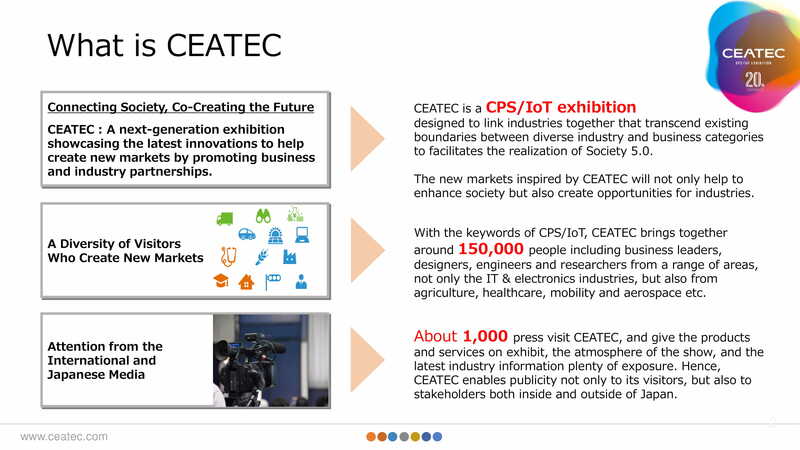 The basic goal of CEATEC is a business creation through co-creation involving a wide variety of industries and fields. 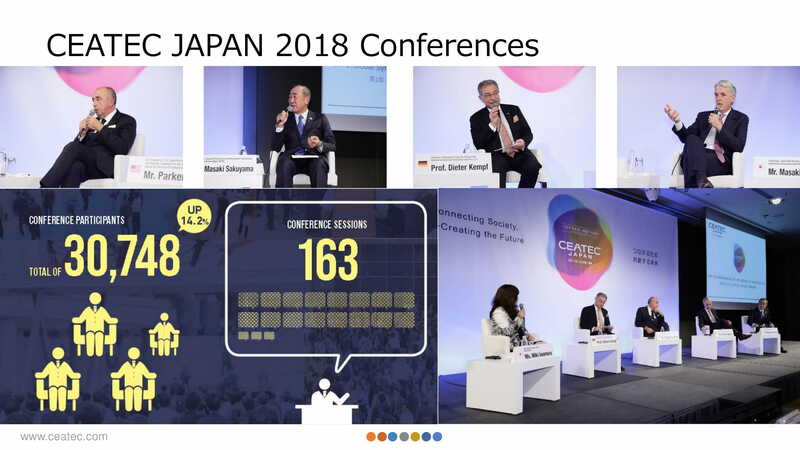 This new, comprehensive exhibition will accelerate the creation of social demand to facilitate the realization of Society 5.0, the ultra-smart society designed to further economic development and the solution of social problems. 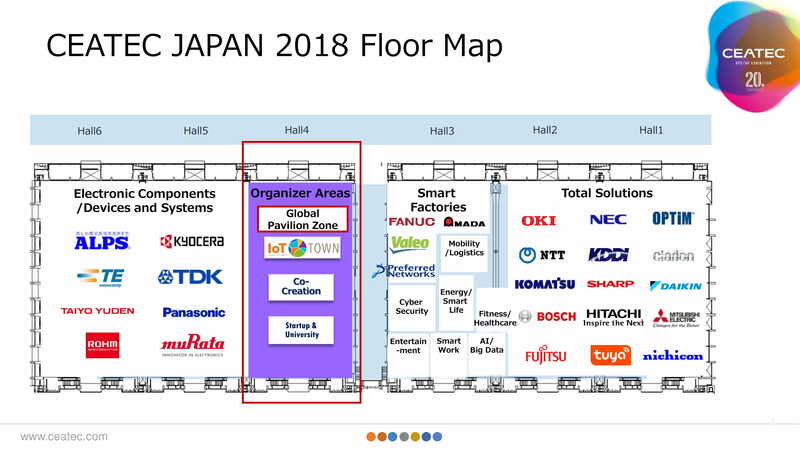 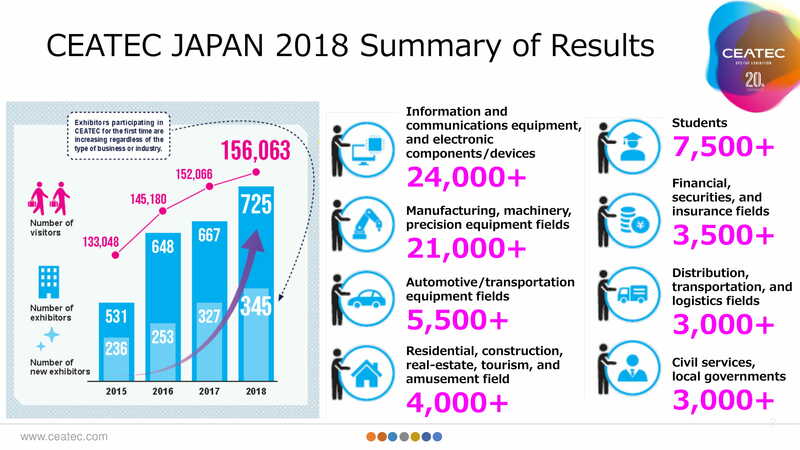 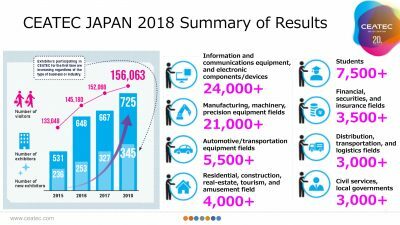 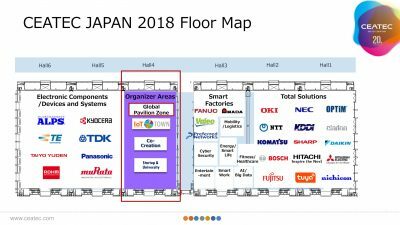 In addition, as Japan’s foremost comprehensive exhibition in which policies, industries and technologies all come together, CEATEC is able to present a global audience a model case for creating the future.